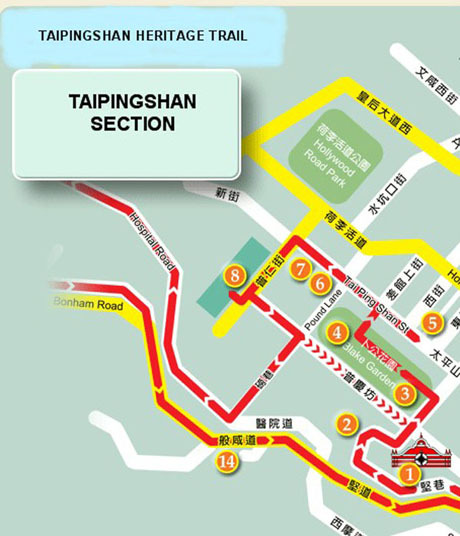 The Taipingshan Heritage Trail, opened in March 2011, was developed by Hong Kong Museum of Medical Sciences to mark the museum’s 15th anniversary. 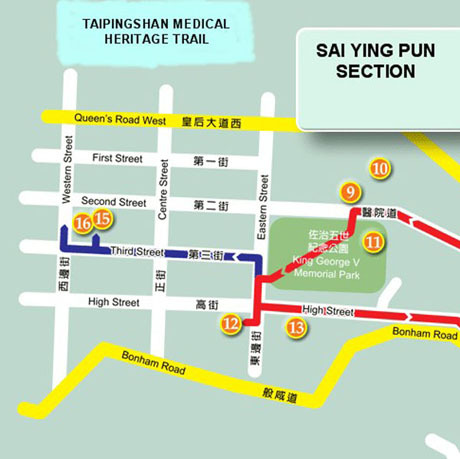 The trail, which starts at the museum, links up important heritage sites in the Tai Ping Shan and Sai Ying Pun districts is designed to illustrate and promote interest in Hong Kong's unique and valuable medical heritage and social history. Taipingshan District of Hong Kong Island was the earliest area of Hong Kong to be reserved for the Chinese population to reside after the arrival of the British in the 1840’s. Before then, the district was occupied by small settlements along the nullahs and streams which ran down the mountain which later became known as Victoria Peak. “Taipingshan”, in Chinese, means “Mountain of Peace” and was given its name after Chang Pao-tsai, Hong Kong’s most famous pirate surrendered to the Viceroy of the Two Kwangs (the provinces of Guangdong and Guangxi) in 1810. After Hong Kong became a British colony, Government officials decided to reserve prime sites in Central District for Western-style houses and foreigners and Chinese residents were removed and encouraged to move to Taipingshan, which became reserved as a Chinese quarter. 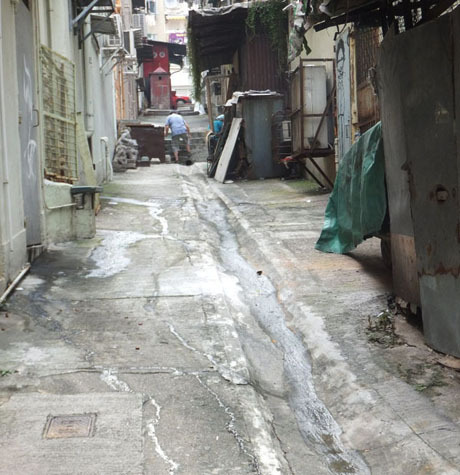 The Taipingshan hillside was levelled and streets were laid out including East Street (Tung Street) and West Street (Sai Street) with Water Lane, running parallel, between. Increasing numbers of tenement houses were built with little or no space between and internally the tenements were sub-divided into windowless cubicles and cocklofts, for which tenants were charged exorbitant rents by greedy landlords. Houses had no water supply and no latrines or proper drains. Poor sanitary conditions were made worse by animals, such as pigs, which were allowed to be kept on the premises under licence. Streets and their open drains were filled with accumulated rubbish, shallow wells in the area were contaminated and the resulting stench was nauseating. In 1894 bubonic plague broke out, resulting in legislation, the Taipingshan Resumption Ordinance of 1894 and the consequent demolition of many of the tenements. 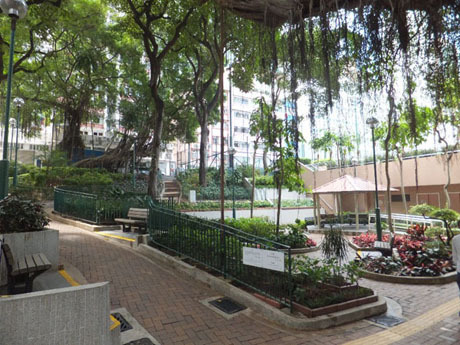 The beginning of one of Hong Kong’s earliest attempts at urban renewal commenced, with Blake Garden, forming part of the heritage trail, being one of its legacies. Outbreaks of the plague continued to blight Hong Kong for a further three decades. Many relics of attempts to provide for health and social needs of the population of the earliest Chinese residential district in Hong Kong still survive including the first Chinese Hospital, opened in 1872, bathhouses, Bacteriological Institute and the site of a disinfecting station and ambulance depot, all forming part of the Taipingshan section of the heritage trail. The Sai Ying Pun district was developed a decade after Taipingshan, in the 1850’s, as an additional Chinese residential district. It features one of Hong Kong’s first attempts at urban planning with streets laid out in a grid, running North-South (Eastern Street, Centre Street and Western Street) and East-West (First, Second, Third and High Streets). Although the area also suffered from overcrowding and poor sanitation it was much less notorious than Taipingshan. The area between Taipinshan and Sai Ying Pun saw the development of many of Hong Kong’s early hospitals including Lock Hospital (1858), for the care of prostitutes and treatment of venereal disease, the first Government Civil Hospital (1859), the Lunatic Asylum (1886) for Europeans and the Chinese Lunatic Asylum (1891). Whilst all these institutions were built by the Government, the local community funded other medical facilities aimed at promoting Western medicine. These included the Chinese Public Dispensary (1905), the Plague Hospital (1909) and the Tsan Yuk Hospital (1922), a maternity hospital. Many of these old buildings remain today and are still in use, albeit for a different function. Whilst some modifications may have taken place, the original structures are still visible and, walking through this old district, much of its atmosphere still remains to be enjoyed. The trail is about 2km in length and suggested time to allow to cover the trail is about 90 minutes. Opened in 1906, and originally named the Bacteriological Institute, the building was constructed in response to the outbreaks of bubonic plague which first broke out in 1894 but recurred every year, causing major disruption to trade and the economy. It provided facilities for monitoring the plague and other infectious diseases under the control of the Government Bacteriologist and was Hong Kong’s first purpose-built public health and medical laboratory. Its functions included the production of vaccines. Following World War II, its name was changed to the Pathological Institute. In 1960 the Pathological Institute was relocated but vaccine production continued at the site until the 1970’s. The building was renamed the Old Pathological Institute and declared a protected monument in 1990 before being turned into a medical museum which opened in 1996. Of the three original buildings the main building and staff quarters remain but the laboratory animal house has been demolished and the site incorporated into Caine Lane Garden. 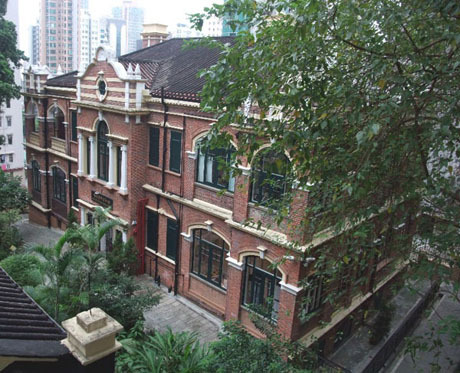 The museum is one of the best preserved examples of colonial (Edwardian) style buildings in Hong Kong. Located close to the Old Pathological Institute on the western side of Caine Lane, the Disinfecting Station, opened in 1902, used large steam disinfecting equipment to sterilize bedding, clothing and other personal effects from homes where people with plague and other infectious diseases were diagnosed. Articles were collected from homes in baskets carried by coolies and during the two-hour collection, sterilization and delivery process, household members were loaned clothing provided by the Government. 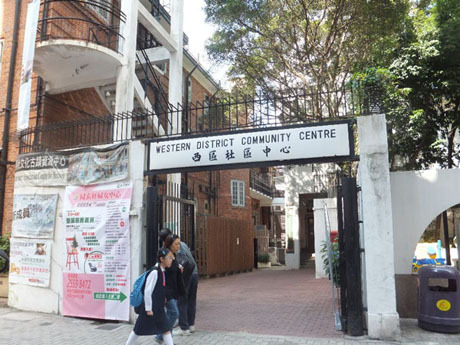 On the opposite side of Caine Lane was an ambulance depot and staff quarters for the sanitary department staff who hand-pulled carts which served as ambulances for transferring patients to local hospitals such as Tung Wah. From 1901 ambulance services were provided free and from 1907 were available 24 hours a day. During 1910 ambulances from the disinfecting station were used 495 times. Motorised ambulances were not introduced until 1919. The disinfecting station, ambulance depot and animal house of the Pathological Institute were demolished in the early 1980’s and Caine Lane Garden, opened in 1990, stands in their place. Blake Garden was named after Governor Henry Blake, who governed from 1898 to 1903, and was the first public garden for Chinese in Hong Kong. 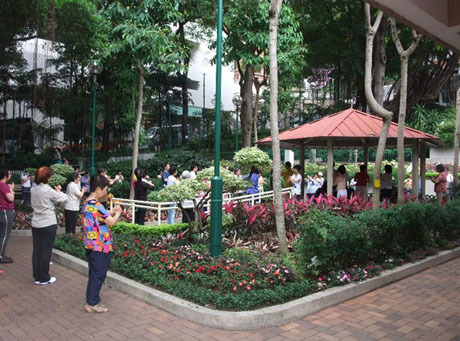 The area in which the garden stands, just below the museum, was at the heart of the crowded tenement district of Taipingshan, about ten acres of which was cordoned off and evacuated at the height of the plague. After the outbreak was controlled many of the buildings were deemed unfit for human habitation and much of the area was demolished. In 1903, Governor Blake proposed to the Colonial Office that part of the area be reserved for public open space and garden to relieve overcrowding and Blake Garden opened in 1905. 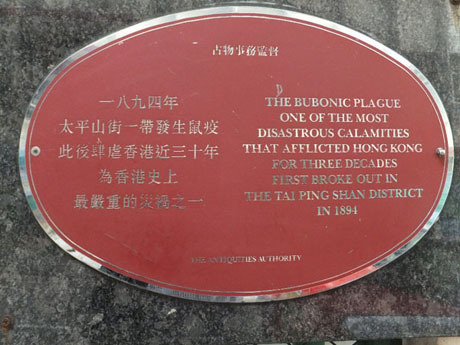 A commemorative plaque at the entrance to the garden serves a reminder of one of Hong Kong’s most disastrous calamities. The original site of the Nethersole Dispensary is located inside Blake Garden, near the exit to Upper Station Street. It occupied the ground floor of the Taipingshan Chapel of the London Missionary Society at 2 Station Street (now Po Yee Street). The medical dispensary was started in 1881 by Dr William Young, a private practitioner, who wanted to introduce the benefits of Western medicine to the Chinese. Dr Young provided his services free, two mornings a week, with the cost of the medicines being met by Mr HW Davis, a businessman, who named the Nethersole Dispensary after the maiden name of his mother. Contrary to expectations that the Chinese would not seek the help of Western medical practitioners, the dispensary became extremely popular and led to the building of a hospital for poorer Chinese offering Western medical care, Alice Memorial Hospital, named after the late wife of Dr Ho Kai who provided funds for the hospital on condition that it was put under the management of London Missionary Society. The chapel was demolished shortly after resumption of Taipingshan after the plague and the site is now part of Blake Garden. Water Lane is thought to have been named after a stream which ran down the slopes of Taipingshan all the way into the harbour. Before the British occupation people had built simple houses along the stream and when Taipingshan was subsequently developed into a Chinese residential district two streets were built on either side of the Water Lane. These streets were originally named Taipingshan East Street and Taipingshan West Street, now known as Tung (East) Street and Sai (West) Street. As Taipingshan became more densely populated the water from the streams and nullahs became increasingly contaminated and unfit for drinking. Although street taps were introduced, water was only available for a few hours each day and were often monopolised by “professional” water gatherers. Overcrowding, contaminated water, filthy drains and poor sanitation quickly encouraged rats which were partly responsible for the outbreak of bubonic plague in 1894. An open drain still runs along Water Lane today. Chinese dwellings did not, in the early days of Taipingshan, have bathrooms or tap water and residents were unable to wash properly except in public facilities such as bath houses. Pound Lane Bath House opened in 1904, at the corner of Pound Lane and Taipingshan Street and was, at the time of its opening, the only public bath house in Hong Kong which provided facilities for both men and women. It could accommodate 28 men and 10 women. Hot water was provided and services were provided free of charge. The introduction of public facilities such as toilets and bath houses did much to improve personal and environmental hygiene for residents of the district. Today, a public toilet with bathing facilities stands on the same site and local residents continue to enjoy the luxury” of free hot water. I Tsz (meaning a free Ancestral Hall), was built in 1851 on Taipingshan Street to house ancestral tablets of deceased Chinese mainlanders, many of whom had moved to Hong Kong soon after colonisation by the British, to seek a better living. Some had died homeless without relatives to arrange a burial and I Tsz provided a home for commemorative tablets (name plates) to be housed in order that relatives, arriving at a later date, could collect the tablets to take back to the mainland. Later, coffins containing the dead were also housed at I Tsz to await repatriation and some terminally ill Chinese, who had been turned out of their homes in the crowded conditions also found refuge at the temple. Following an outcry over the appalling conditions where the dead and dying lay next to each other with no medical care, the then Governor, Richard MacDonnell, agreed to a long standing request from the Chinese community for land for a Chinese hospital and this led to the founding of Tung Wah Hospital. The I Tsz still stands and is enclosed within Pak Sing Temple (Kwong Fuk Ancestral Hall), reached by a flight of steps from Tai Ping Shan Street. 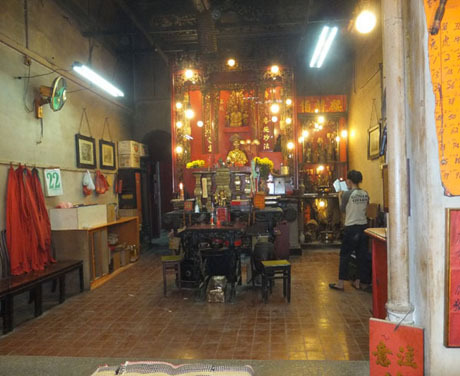 Unlike a family Ancestral Hall, the family names of those commemorated are all different, hence the name Pak Sing, meaning “One Hundred Surnames” Temple. Pak Sing Temple is open 8am to 5pm daily. The Tung Wah Hospital was the first hospital built to provide solely traditional Chinese medical care for the Chinese community, whereas other hospitals, at the time it was built, provided solely Western medicine. The hospital, located at Po Yan Street, was built in 1872 in response to the outcry over conditions at I Tsz (see above). The land was donated by the Government and funding was achieved by both subscriptions from the local Chinese community and the Government. Following the plague epidemic in 1896, a Resident Surgeon, qualified in Western Medicine was appointed full-time to the hospital enabling patients to have a choice of Chinese or Western medical care. The hospital quickly became extremely popular and was rebuilt in 1902 and again in 1934. Further branches opened in Kowloon in 1911 (Kwong Wah Hospital) and in Eastern district of Hong Kong Island in 1929 (Tung Wah Eastern Hospital). 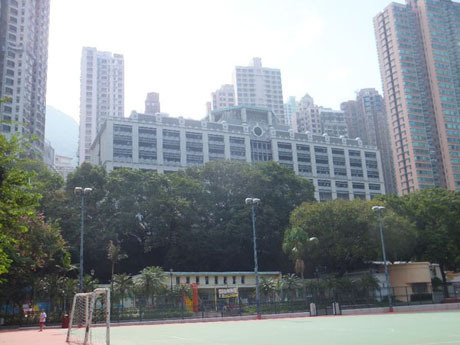 Tung Wah Group also operates many schools and other social services and is now the biggest charity in Hong Kong. The first Government Civil Hospital is believed to have been located in a rented house in Central in 1843. 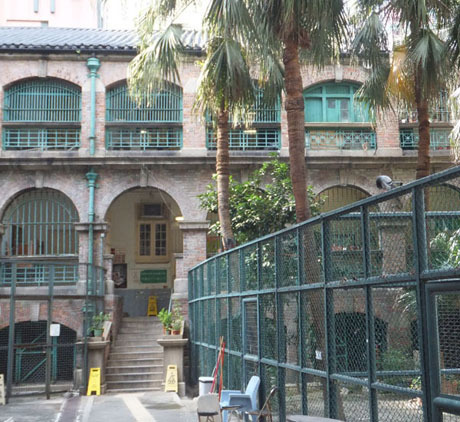 It moved, in 1859, to a large building purchased by the Government in Sai Ying Pun which, although a great improvement on the original hospital, had not been designed as a hospital and had no water supply. This building was wrecked in a typhoon in 1874 and the hospital moved to an empty hotel on Hollywood Road which was subsequently destroyed by fire. The hospital moved back to Sai Ying Pun in 1879, taking over Lock Hospital for its own use. Lock Hospital was founded in 1858 as a venereal disease clinic following the introduction of legislation aimed at reducing the incidence of the disease. Prostitutes from brothels were examined by Government medical officers at least once every ten days and if found to be infected were confined to the hospital until cured. These measures, which applied only to brothels serving the non-Chinese population, were effective in reducing the infection rate, particularly among military personnel stationed in or visiting Hong Kong. The hospital was originally located in rented premises but moved to a new building near the Government Civil Hospital in 1861. The new hospital was funded by fees paid by brothel keepers enabling it to expand and build new facilities. However, the Government Civil Hospital took over the Lock Hospital premises whenever the need arose (see Station 9 above) and from 1893 the treatment of venereal disease was absorbed into the work of the Government Civil Hospital. 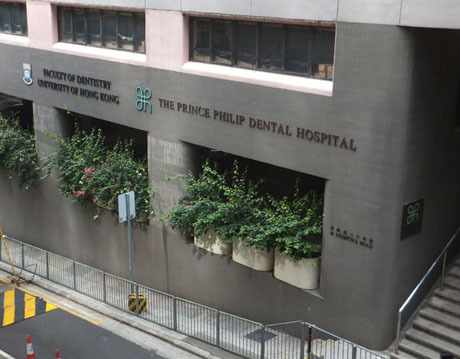 The site of the former Lock Hospital, bounded by Eastern Street, Hospital Road and Queen’s Road West is now occupied by the Tsan Yuk Hospital, Prince Philip Dental Hospital and part of the Sai Ying Pun Jockey Club Clinic. Although planned in 1936 and named after King George V, who died in the same year, the park was not officially opened until 1954 after its development had been interrupted by World War II. There had, in fact, been a garden or park at this site long before it was decided to make it an official park. By the time the park was planned the demand for medical buildings in Sai Ying Pun had lessened as Queen Mary Hospital was being built. Several medical heritage buildings are grouped around the park. On the opposite side of Hospital Road, on the northern side of the park, stood the Government Civil Hospital. A separate building was erected outside the lower area of the park in 1889, to house the medical superintendent and quarters for European nurses were built at High Street, at the upper end. A maternity hospital was located inside the park area, which was subsequently turned into an isolation hospital for smallpox patients and then converted back into a maternity hospital after smallpox patients had been removed to Stonecutter’s Island. An attractive masonry balustrade which runs alongside the entrance to the park is one of the remaining features of the garden. 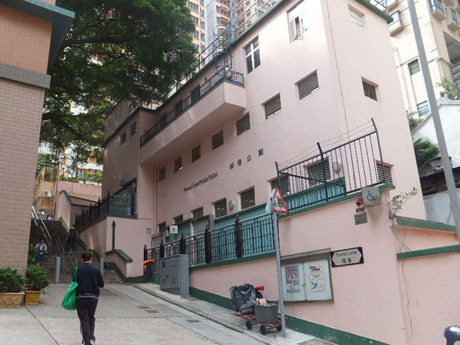 The Former Nurses Quarters, in the centre of the park are now the Sai Ying Pun Community Centre. Hong Kong’s first lunatic asylum opened in 1875 and was located in a dilapidated building on Hollywood Road. Prior to then most mentally ill Europeans were confined to Central Police Station Gaol, although a few were admitted to the Government Civil Hospital, whilst the Chinese were confined to a small room in Tung Wah Hospital and reportedly held in chains. In 1886 the first purpose-built asylum for Europeans opened in Eastern Street at Sai Ying Pun and in 1891, an asylum for Chinese patients opened in an adjacent building. The design of both buildings was similar to those of asylums in Britain and facilities were considered modern and adequate at the time. In 1929 the two asylums became “Victoria Mental Hospital” but eventually accommodation became inadequate and part of the adjacent Nurses Quarters (see above – King George Memorial Park) was converted into female mental disease wards in 1939. The old Chinese Lunatic Asylum Building was vacated in 1961 when Castle Peak Hospital for treatment of psychiatric patients opened and in 1972 became Hong Kong’s first Methadone Clinic and still functions as such. The building which served as the Former Civil Hospital Nurses Quarters from 1889 to 1941 and Victoria Mental Hospital (later High Street Mental Hospital) from 1939 to 1961 stands above King George V park, on High Street. Patients were moved out in 1961 when Castle Peak Hospital opened and the hospital was used only an outpatient clinic. 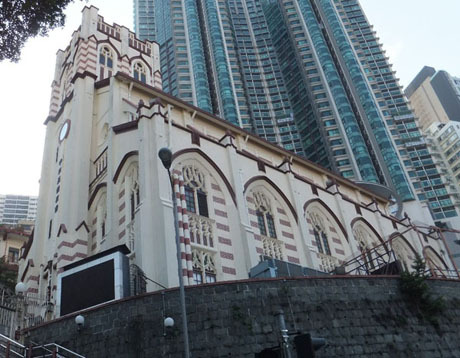 The building lay vacant for over 20 years before being converted into the Sai Ying Pun Community Complex, which opened in 2001. The magnificent historic façade was retained and a modern building stands behind it. In its days as quarters for European nurses from the Government Civil Hospital, the 21,000 square-foot two-story building consisted of 10 bedrooms, 5 sitting rooms, an office, dining room, servants’ quarters, and bathrooms. Alice Ho Miu Ling Nethersole Hospital was formed in 1954 by combining a group of three existing hospitals which stood on the same site, above Taipingshan, extending from Bonham Road up the hillside to Robinson Road. The three hospitals were Nethersole Hospital (1893), Alice Memorial Maternity Hospital (1904) and the Ho Miu Ling Hospital (1906), all of which were built to complement the work of Alice Memorial Hospital on Hollywood Road. The site had originally been occupied by London Missionary Society which bought the large plot of land for its new headquarters but subsequently made land available for these hospitals, staff quarters, a school and a church for the Chinese community, Hop Yat Church, which still stands today. The Western District Plague Hospital on Third Street opened in 1909 and was funded by public subscriptions from the local Chinese community. The ground floor was occupied by the Chinese Public Dispensary with the upper floor comprising the plague hospital. The dispensary provided Western medical care and patients who were confirmed by the dispensary doctor as having contracted the plague were admitted to the hospital. Although mortality rates were high owing to the lack of effective treatment at the time, the hospital at least saved patients the indignity of being left on the streets to die. The building is now used as a heritage education centre. The original Tsan Yuk Hospital was funded by public subscription collected by Chinese Public Dispensary (CPD) Committee and built on land donated by the Government, next to the CPD on Western Street. It opened in 1922. The hospital was a maternity hospital, built to meet demand for Western midwifery services which had gradually gained acceptance by the Chinese community in the early twentieth century. The hospital originally had 28 beds and was staffed by a Matron, two nurses and five amahs. Doctors from the Chinese Public Dispensary next door could be called on in the event of any emergency. Supervision and training of the midwives was provided by Hong Kong’s first female doctor, Alice Sibree. The popularity of the hospital led to the number of beds being increased to 60. In 1934 the hospital was transferred by the CPD committee to the Government and became a centre for teaching obstetrics to medical students and doctors. 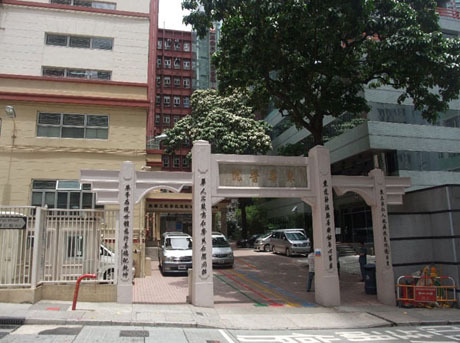 The hospital became too small to meet the needs of the rapidly expanding population of post-war Hong Kong and a new Tsun Yak Hospital was opened in 1955 on Hospital Road. The old Tsun Yuk Hospital now houses Western District Community Centre. 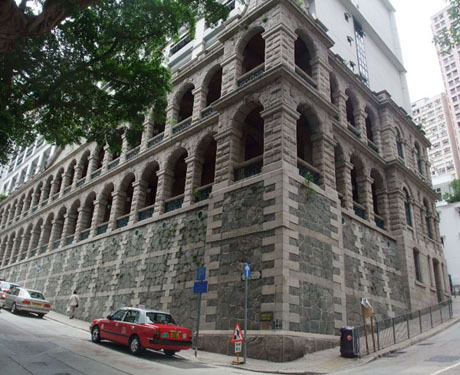 The recommended route for the trail starts at Hong Kong Museum of Medical Sciences, located at Caine Lane which is just off Caine Road at the top of Ladder Street. WALK VIA MID-LEVELS ESCALATORS - After 10-20am visitors can use the Central – Mid Levels Escalator Link to Caine Road. Walk west along Caine Road for a few minutes until reaching the distinctive Ladder Street on the right and Caine Lane is a short distance down the steps on the left. MTR – the nearest station is Sheung Wan exit A2. Walk uphill crossing Bonham Strand, Queens Road Central and Hollywood Road to Mid-Levels and Caine Road. BUS - from Central to Caine Road (west bound). Alight at Ladder Street bus stop on Caine Road and cross the road to Ladder Street– routes 3B, 12, 12M, 13, 23, 23A, 23B,40 ,40M and 103. From Pok Fu Lam Road (east bound). Alight at Ladder Street bus stop on Caine Road – routes 40M & 103.